Aw, so darn cute! I adore the sky, it's very realistic! Fabulous colours too. 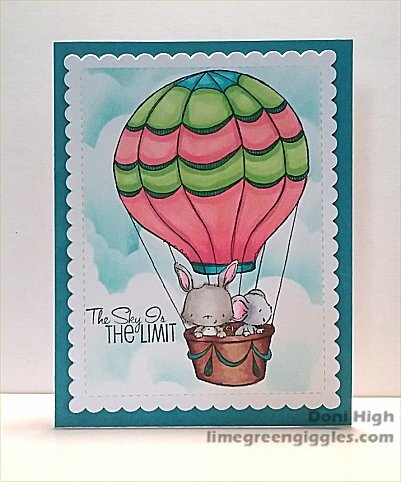 Sweet card, Doni and your cloud background looks great and fits perfectly. However you did it, it turned out perfect! Love this darling card. Your card is so bright, colourful and fun!! Your cloudy sky is such a fabulous background!